Ewald Chrysler Jeep Dodge Ram in Oconomowoc WI is a Jeep lovers dream, as Ewald Chrysler Jeep Dodge Ram offers drivers from all over Milwaukee an incredible range of impressive of new and used Jeeps for sale. Ewald Chrysler Jeep Dodge Ram of Oconomowoc WI has many new and used models of Jeeps for sale, from new Jeep Wranglers to used Jeep Grand Cherokees and more, making finding the new or used Jeep for sale that is right for you easier than ever. So stop on by Ewald Chrysler Jeep Dodge Ram in Oconomowoc WI today and check out our many vehicles with the Jeep logo today, such as this new Jeep Wrangler for sale, the incredibly reliable and widely loved 2017 Jeep Wrangler Sahara, which is certain to provide you with many years of highly enjoyable use. 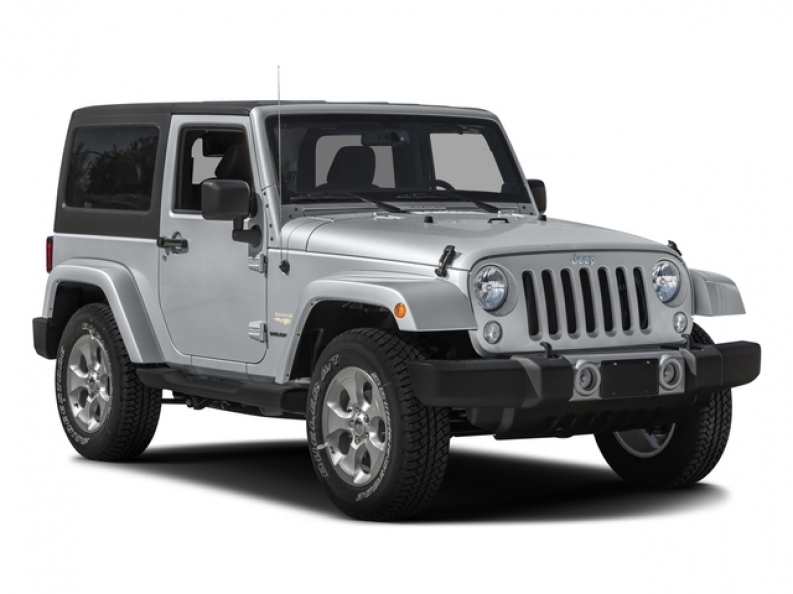 This brand new Jeep Wrangler for sale is a great vehicle that you are sure to love for many years to come, as it provides you with an unforgettable driving experience and plenty of things to enjoy everytime you get behind the wheel. This new Jeep Wrangler for sale is easily capable of achieving an impressive 285 horse power with its impressive 3.6L V6 24V VVT Engine, which will also provide you with a maximum towing capacity of up to 2000 pounds, and a respectable gas mileage of 17 City mpg and 21 Highway mpg. There is even more to discover about this new Jeep Wrangler with its many great features to enjoy, such as its Anti Theft System, and its Four Wheel Drive, as well as its impressive Rollover Protection System and much more. Stop on in to Ewald Chrysler Jeep Dodge Ram in Oconomowoc WI today and check out this new Jeep Wrangler for sale today, located here at 36833 E Wisconsin Ave Oconomowoc, WI 53066.